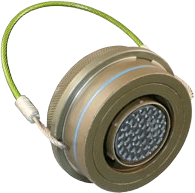 MIL-DTL-38999 is a high-performance cylindrical connector family designed for cable-to-panel I/O applications in military aerospace and other demanding situations. Glenair manufactures a wide range of environmental and hermetic class MIL-DTL-38999 type connectors including lanyard-release products, bulkhead feed-thrus, composite and specialty metal cable plugs and receptacles, connector savers, EMI/EMP filter receptacles and Coax/Quadrax contact equipped products. 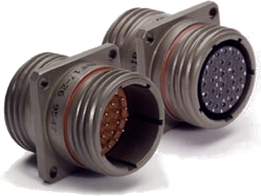 Our line of MIL-DTL-38999 hermetic connectors is qualified to the Mil-Spec. 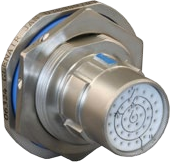 Other series which are not specifically covered by the MIL-DTL-38999 specification, such as our Sav-Con connector savers or EMI/EMP filter solutions meet or exceed the requirements of MIL-DTL-38999. Many of these products are available with fast lead-times up to and including same-day delivery. Please see the introduction below for a complete overview of the MIL-DTL-38999 Series I, II, III, and IV solutions available now from Glenair. 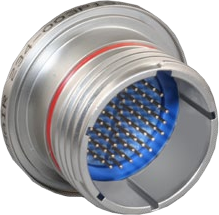 To prevent detrimental intrusion of cleaning solvents/water into the connector when terminating, the connector must be protected IAW IPC J-STD-001 and/or NASA STD-8739.3. For assistance and/or additional information, please contact factory.